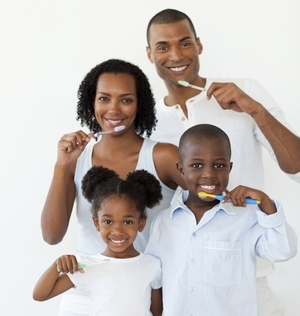 We understand that it can be difficult to find a trustworthy family dentist in Lake Mary, FL. If you want the best oral health care for your family, it is important to find an experienced and skillful Lake Mary dentist that will help you create healthy smiles for everyone in your family. The team of dental professionals at Family Dental Care have years of experience in improving the health and aesthetic value of their patients’ smiles. Their focus on patient care and commitment to continuing education ensure the best treatment possible for all members of your family. At our Lake Mary dental practice, we know that your teeth and gums are worth protecting. Caries, or tooth decay, are the most wide-spread dental problem for patients everywhere. Damage from tooth decay can lead to serious problems, such as periodontal disease, that can require extensive treatment to fix. Luckily, with proper education on good oral health habits, tooth decay is also entirely preventable. At our Lake Mary family dental practice, our doctors are happy to explain what you can do to take care of your teeth and gums outside of twice-daily teeth brushing. We value open communication and make sure that parents are kept in the loop when discussing beneficial oral health treatments for young members of their family. We understand that children who are fearful of the dentist grow into adults who avoid treatment at the risk of their health. The entire team of family dentists at our Lake Mary practice works to ensure that young patients feel safe and comfortable when they visit our office. 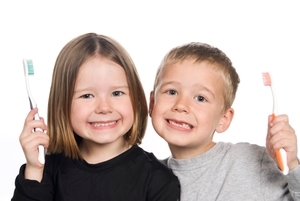 We want to set the younger members of your family up for a lifetime of healthy smiles, not dental fears. We are happy to set up a consultation to discuss your oral health needs! Our treatment plans are tailored to help you meet all of your family’s oral health goals and to keep your teeth in excellent shape. For more information on the family-friendly services from our Lake Mary dental office, contact us today or request an appointment online.